And the lessons he learned about connecting with influencers along the way. Many of the tech founders we’ve interviewed clearly remember the first experience that set them on their path to entrepreneurship. For some of them, it all began when they got their first computer or cell phone. Or the first time they made a sale and realized that they could actually do it. Andy Drish’s path, though, didn’t start with a computer. It started with a shovel (more on that soon). Today, Andy’s businesses have helped thousands of students learn to master the art of selling on the internet, and his best-known business, The Foundation, generates more than $2 million each year by delivering some of the best educational content—and results for customers—in its market. 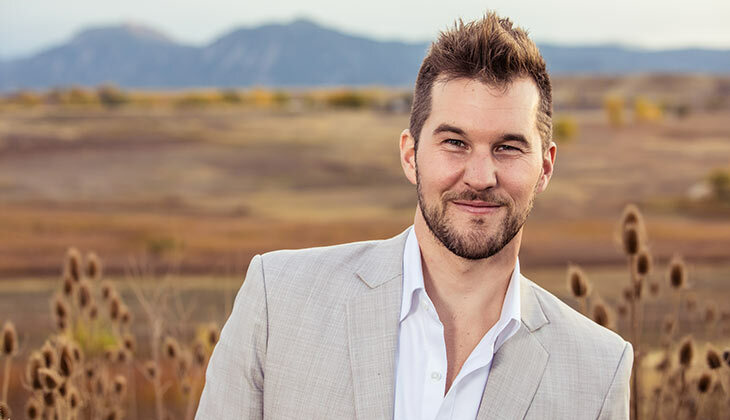 In this interview, you’ll learn the lessons that Andy learned—and the strategies he used—to go from living in a small town in Iowa to becoming one of the most connected entrepreneurs in tech. Though he now lives in Boulder, Colorado, a thriving tech hub, Andy didn’t grow up anywhere near the tech world. I grew up in a town in Richland, Iowa, a town of 600 people in the middle of nowhere. Andy started working odd jobs, picking corn,picking corn, and doing landscaping work when he was 13. When he turned 16, he went to work with his dad at the family construction business, where he learned one of the most important lessons of his life. My dad spent his whole life doing manual labor—and still does. He believed education was the way out. That summer I learned my two options were to get educated or spend the rest of my life digging ditches. Work hard. And smart. You can spend a lifetime working hard, but to achieve true freedom, you have to educate yourself to work smarter, too. Andy learned to value education and both hard and smart work. But he didn’t realize just how expensive getting an education would be. When I was 18, I didn’t realize how much education actually costed. I just assumed everyone was going into debt for college. 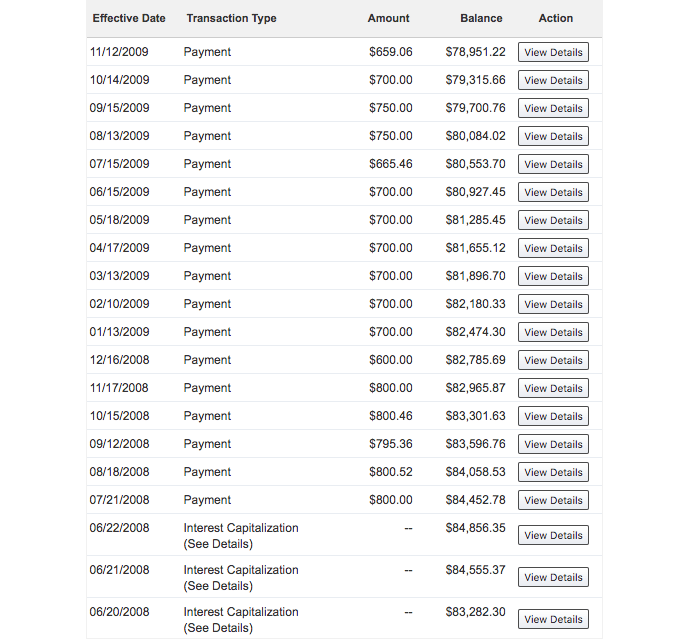 When I was taking out student loans, I didn’t understand how much it would actually cost to pay those back over time. During college, I realized my monthly student loan payment would be $750/month. The average marketing major makes $35,000/year in Iowa. I freaked out. The math just didn’t add up. There was no way I could live on that. But I didn’t have the knowledge or skills to start a business yet. And the job market was pretty grim. So the thought of graduating absolutely terrified me. That fear got even more intense and painful for Andy when he studied abroad. I studied abroad in New Zealand. Until then, I had never been outside of the U.S. I fell in love with traveling. The people. The culture. The sites. It was all so amazing to me. I remember being surrounded by all of this beauty, and just being pissed. I had just fallen in love with traveling. I’m sitting at the top of this mountain thinking about how I was going to graduate in two years, and I’d never be able to travel like this again. I’d have to spend the rest of my life shackled to a desk in corporate America with two or three weeks of vacation per year, and I’d never be able to see so much of the world I so desperately craved to explore. The fear of living a life without freedom to travel terrified me more than anything. That’s when I got interested in building a business online. Prioritize freedom. Working hard (and smart) doesn’t matter if you aren’t free to do the things you love. Andy graduated and was lucky to find a job at Principal Financial Group, working in various marketing and technology roles. He learned a lot, but something was missing. I didn’t fit in. I remember looking around thinking “how can people be happy here?” Everyone felt ‘dead’ on the inside to me. There was no passion. No creativity. Nobody truly cared about their work. I would sit in my cubicle and listen to podcasts like Mixergy and read Hacker News. I was studying everything I could because I desperately wanted out. Of all of his side projects, the first to take off was the result of buying an online course. Two years into the job, I saw that Clay Collins from LeadPages launched one of his first information products. It was called Project Mojave, and it was all about how to ‘launch products’ in niche markets. I bought his first course for a $100 and it was a total game changer for me. I launched a website in six weeks that was generating $6,000 a month in revenue teaching marketing. That was more than I was making at my desk job. After the launch, I told Clay what happened. He asked to feature me as one of his top case studies. We created a case study together and became friends… and still are. 7 years later and I’m featuring Clay in our upcoming Bootstrapped Software Summit. All because we met seven years ago from that one course. Influencers love when people get results with their ideas because it makes them look good. Read their blog. Buy their course. Put the ideas into action. Show them the results. And they’ll want to get to know you. It was so cool to become friends with Clay. I remember reading his content online for so long. But I never thought we’d actually end up hanging out together. Since that experience, I realized this is a ninja hack for getting in touch with influencers who are normally unreachable. You can use this strategy over and over to get connected with some of the biggest influencers online. As quickly as that business launched, it came tumbling down just as fast, leaving Andy frustrated, uncertain and demoralized about his future. Unfortunately after the launch, I had no idea how to sustain the business. So our revenue slowly dwindled until I shut the site down six months later. It was brutal to admit I failed. I was so close to leaving my job. I was supposed to be this “successful case study” for Clay. And then, all of the sudden, I had nothing. It was embarrassing, frustrating and I remember starting the next year feeling so demoralized. I had worked for a year on a business and I had nothing to show for it. I had to start all over from scratch… again. Andy was back at zero all over again, and still working full time in corporate America. He went to SXSW, one of the biggest conferences in tech, and came home inspired by the people he met. He was so inspired, in fact, that he took a big risk. At SXSW I was surrounded by people my age who were doing exactly what I wanted to do. They were running six- or seven- figure companies, traveling the world, and when I met them I realized: they’re not that much smarter than me. If they can do it, why can’t I do it? I realized I needed to make a big change. Immediately. I walked into my boss’ office Monday morning and said that I want to go part-time and I only want to be working three days a week so that I could start a business on the side. I couldn’t believe it, but they said yes. Invest in events and surround yourself with people two to three steps ahead of you. Going to events can be one of the highest leverage investments you can make because you’ll be surrounded by your tribe of people. The key is to surround yourself with people just a couple steps ahead of you… but not too far ahead. If they’re ten steps ahead, it’ll be hard to relate to them. If they’re two steps ahead of you, it’ll inspire you and show you a whole new realm of realistic possibility. With his job (and income) scaled back and some newfound free time, Andy’s feet were to the fire. Except that he wasn’t sure what to do next. Thanks to some advice from his friend (and now business partner, Dane) Andy started cold calling real estate agents to see how he could help them. Eventually, Andy got a hit. I ended up cold calling a realtor in Colorado who was doing these marketing campaigns where she would partner with local businesses and send out discounts to her past customers to incentivize referrals. I loved that idea, and I thought I’d try selling that as a marketing system to other realtors. I called it Referral Squirrel, and on my days off I would do nothing but cold call and try to build the business. Everything changed when I got the number one real estate agent in Iowa to use it. Everyone knew he was the best. So if he did it, it must work. After that, everything got easier. Get the #1 leader in a market as a customer and everyone else will follow. Markets often play “follow the leader.” If you can get the #1 leader of a market using your product or service, everyone else will follow almost immediately. Then find creative ways to reach out to them. Andy found creative ways to reach top agents. Top agents were busy and didn’t respond to email or phone calls. So to get my foot in the door with them, I used to send a dozen warm chocolate chip cookies and a gallon of milk to their office. They loved it. In the box of cookies, I’d write a little letter that asked for 10 minutes of their time to share an idea with them. Almost everyone called me back within 48 hours because the cookies were unique, different and cut through the clutter. Andy grew his business consistently by working part time on it, and eventually it was bringing in enough money to allow him to quit his job. I’ll never forget the day I quit my job. I remember bursting through the revolving doors of our office building, on the verge of tears, knowing that I would never go back to working for someone else for the rest of my life. That immense feeling of freedom was one of the greatest experiences of my life. 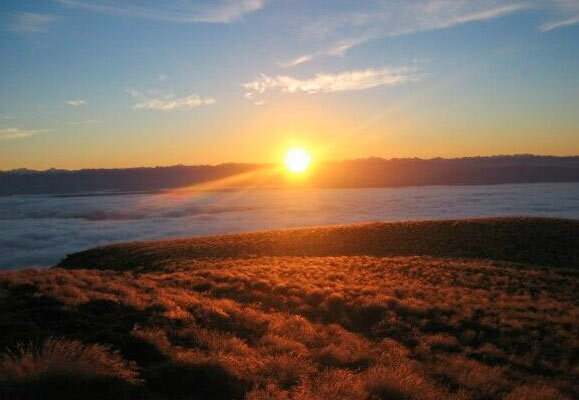 It had been almost seven years since I had that moment on the mountain in New Zealand and I finally had the freedom I had craved for so long. That year Andy continued to grow his business, and eventually moved to Colorado to learn to snowboard, like he had always dreamt of doing. But a year later, another challenge came his way. Andy kept growing his business. But he eventually noticed that his heart wasn’t fully in it. Referral Squirrel was a great business, but I didn’t have a true passion for it. To be honest, I still didn’t know the first thing about real estate, and while I could sell this product all day long, eventually it ended up feeling like just another job. Andy’s opportunity to change that came when the business hit a big, ugly roadblock. We had a blunder with one of the campaigns that really screwed up. We sent out a campaign for a realtor in Omaha offering a discount to a restaurant that we had signed the deal with the prior week. We sent the campaign out on Monday, and we begin to see a flurry of angry emails from customers. It turns out that the restaurant had unexpectedly closed its doors for good that weekend. I was pissed. We refunded everything and covered the costs of the campaigns. That mistake cost me a couple thousand dollars and that was the last straw. After every challenge, there’s an opportunity waiting to be discovered. Entrepreneurship is a roller coaster of emotions. Some days are high. Some are low. Often after we encounter our biggest obstacles, something new emerges that’s an even bigger opportunity… if you’re willing to make the leap. Dane (Andy’s business partner today) had been mentoring people and teaching them to start software companies for the past six months. He knew Andy had built up a lot of connections over the years, and a month earlier Dane asked him to help recruit partners for a course he was launching. Andy proposed a different idea. We spend a whole bunch of time writing the first sales video. We probably spent 80 hours scripting a 10-minute video, and we shared it on Facebook, where it got shared about 8,000 times. At this point, we had no email list or track record, but this generated a whole bunch of leads for us. We continued to do this for an entire summer, and at the end when we finally launched the course, we generated a little over a million dollars. Andy sold Referral Squirrel to a marketer he knew in Iowa, and focused his time on the course he had helped launch, called The Foundation. Andy credits a big part of the success of The Foundation’s initial launch to their influencer outreach strategy. And perhaps the most important takeaway from that strategy? You just need a single influencer, and everything else gets a lot easier. 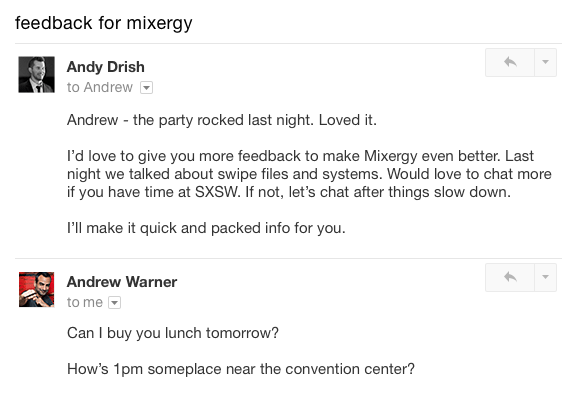 Our one was Andrew Warner of Mixergy, who I had approached at South by Southwest a couple of years prior. When I met Andrew, I didn’t really have any connections. He was throwing a party at SXSW, and I could tell from listening to his interviews that he’s always craving and asking for audience feedback. Immediately, he’s like “oh yeah, let’s do that.” I sent him a follow up email that night. We ended up having lunch together for 30-45 minutes. I prepared a list of things that I thought he could be doing better for me as a listener, and he appreciated it. That was the beginning of our friendship. When it was time to launch, we had a case study from the first time we ran the course that was really successful with the material. Andrew agreed to interview him on Mixergy. That was a huge win that got us momentum early. Consistently add value to people by listening for their pain or pleasure points. The essence of human behavior can be boiled down into two aspects: Minimizing pain. And maximizing pleasure. The more you can begin to hunt for where people experience pain or where they experience pleasure, the easier it will be for you to deliver value to them. The more value you deliver, the more they’re going to want to help you in return. Andy was able to leverage that initial exposure to get more and more interviews and podcast appearances, including being featured on Pat Flynn’s popular Smart Passive Income podcast. Every time we did a show, we would create a custom bonus for that specific audience. Since then, we’ve used these strategies to build an email list of 100,000+ people. Since that initial launch, The Foundation has built an email list of over 100,000 people. They’ve been featured in media like Forbes, Inc, Business Insider and more. And they have helped over 2,000 entrepreneurs from 40 countries get their start in business. Andy also launched Starting From Nothing, a podcast for bootstrapped entrepreneurs that’s been downloaded over 2,500,000 times and ranked as the #1 podcast for entrepreneurs by Inc.com. I’ve always loved scrappy, hustling, bootstrapped entrepreneurs. I know how painful it is to start from nothing. No money. No skills. No connections. We built The Foundation for other bootstrapped entrepreneurs who have to focus on profitability from day one. One — Work Hard. And Smart. You can spend a lifetime working hard, but to achieve true freedom, you have to educate yourself to work smarter, too. Two — Prioritize Freedom. Working hard (and smart) doesn’t matter if you aren’t free to do the things you love. Four — Invest in events and surround yourself with people two to three steps ahead of you. Five — Get the #1 leader in a market as a customer and everyone else will follow. Six — After every challenge, there’s an opportunity waiting to be discovered. Seven — Constantly look for ways to add value to people by listening for their pain or pleasure points. In addition the The Foundation, Andy runs a number of other businesses and events for entrepreneurs. The Software Summit — Dec 4–7, 2016 — 25+ Bootstrapped software entrepreneurs are teaching how they started and scaled their software businesses from scratch. Including our own Alex here at Groove, Jason Fried from Basecamp, Clay Collins from Leadpages, and a whole lot more. Vision Day — Dec 14th 2016 — Create your perfect vision for your business (and life) in 2017 during this free 90 minute workshop. Compass — Software that helps entrepreneurs know exactly what’s getting accomplished in their business… without micromanaging their team. Lastly, Andy put together a little gift package for Groove readers to help you grow your business. The Product Launch Checklist — Andy’s personal checklist he uses when launching new products or businesses. This checklist has helped him sell over $5,000,000 of products online, launch a #1 business podcast in iTunes and it has helped countless other entrepreneurs grow their businesses. Stealth Strategies For Influencer Outreach — Andy has spent the past decade refining his strategies to get connected with influencers online. He credits these strategies for helping his career take off. For the first time, he’s written about these strategies in detail so you can use them to help grow your business. Groove’s blog subscribers tend to be voracious readers who work tirelessly to better themselves and their businesses. That’s why we’re asking each of our My First $100K interviewees to share their favorite blogs and books. The Surrender Experiment by Michael Singer — Proof that prioritizing a spiritual path can lead to massive results in life. Ask by Ryan Levesque — This is the future of marketing and the fastest way to get deeply inside the minds of your customers. Double Double by Cameron Herold — If you’re scaling a business beyond $1M+, this is book is a must read. Psycho-Cybernetics by Maxwell Maltz – This book teaches entrepreneurs how to tap into their unconscious mind to create bigger results in their lives. The Boron Letters by Gary Halbert — If you want to learn the basics of direct response marketing that to help you acquire more customers, faster… check these letters out. Andy has (very) generously agreed to answer your questions in the comments of this interview. We’re going to be watching closely and trying to learn as much as we can ourselves, so don’t be shy. Hey Groove Readers — I love reading the valuable content Alex and the Groove team have built over the years. If there’s any questions you have about influencer marketing, launching products, or what it’s like to grow up in a cornfield in Iowa ;), let me know and I’ll answer questions in the comments below. Post your questions for Andy in the comments below.